Port de La Napoule is located in the Gulf of La Napoule, close to the famous Bay of Cannes. It is the largest marina in the town of Mandelieu, with nearly 1,000 berths. Only 45 minutes from Nice International airport and 5 minutes from Mandelieu airport. 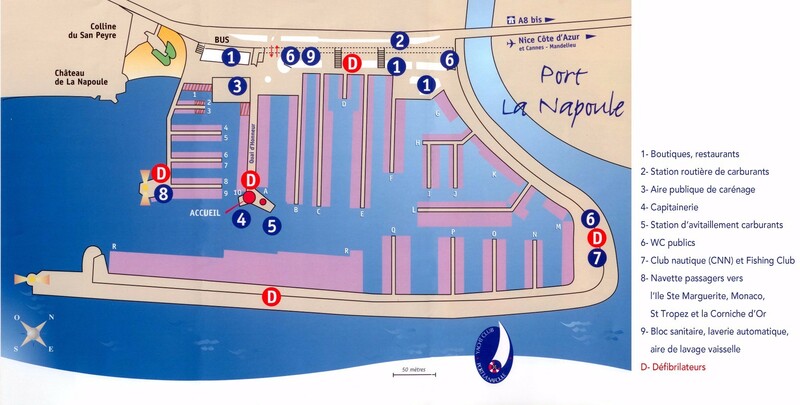 Restaurants, shops, nautical services, diving, sailing and sea-fishing clubs can all be found nearby including a shipyard open all year long. Amazing views of Mandelieu's Castle and the western part of Théoule's bay and the Esterel hills, plus the oldest and one of the nicest golf courses along the French Riviera nearby.